Majority of club players love sharp tactical play and neat opening lines but hate positional chess. Indeed, tactics is beautiful and exciting, while positional chess is... BORING. That's only true if you don't understand positional chess. Positional understanding is like a Swiss Army knife to a chess player. It helps you to get ahead of a much better theoretically prepared or tactically proficient opponent. If you feel STUCK, positional understanding suggests you the right moves. It helps you deal with most opening situations even if you don't know the theory. It can even show you the right way to finish off the endgame. Positional understanding is a universal weapon you can use in all stages of the game! In this 7-hour course, FIDE Trainer and Olympiad Coach GM Marian Petrov covers 15 positional themes every chess player must know. 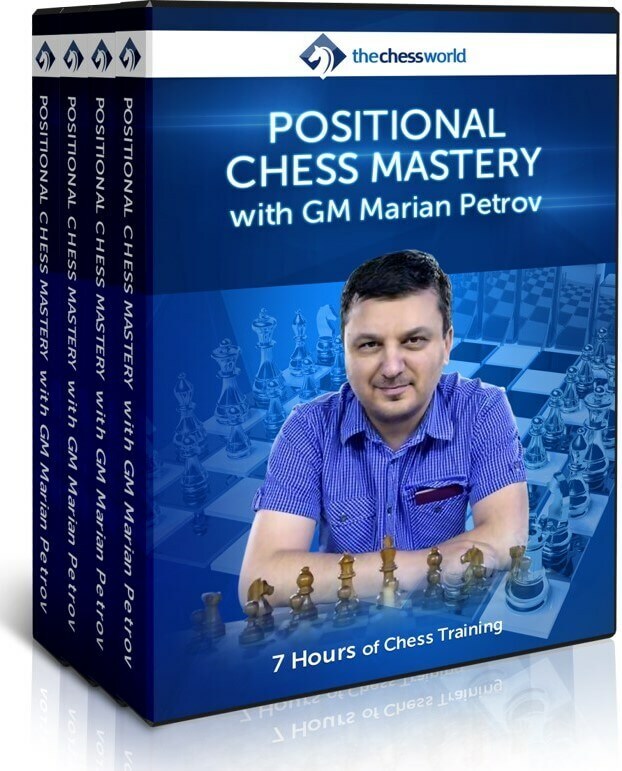 GM Petrov's takes a very different perspective on improving your positional understanding. Instead of taking a usual route of learning "moves" and "lines", he teaches "positions" and "patterns". This approach is proven to work for many of GM Petrov's private students. It gives you a clear understanding of when to attack, defend or go into an endgame. This kind of thinking is the key difference between a 1400 and 2500 rated players. This course is a pure practical guide covering the ideas, secrets, and strategies that you can directly apply in your next game. Rules of positional chess will help you make correct decisions, provide you with hints and pointers throughout the game. You will know whether to commit to a certain pawn structure, exchange off your pieces or go into the endgame. You will feel in control of what's going on in the game. Things won't appear random to you. You will know how to change the nature of the position from calm to sharp and vise versa - depending on what's best for you. Most importantly your results will become better. You'll surprise your competition with your ability to foresee the winning sequences with almost zero calculation! In this 7-hour course, FIDE Trainer and Olympiad Coach GM Marian Petrov covers 15 positional themes every chess player must know. This course is a pure practical guide covering the ideas, secrets, and strategies that you can directly apply in your next game. Train the important endgame skills and motifs with a set of specifically designed tasks and challenges. Practical part is an important element of the course. Advanced training tasks taken directly from the video course's games. 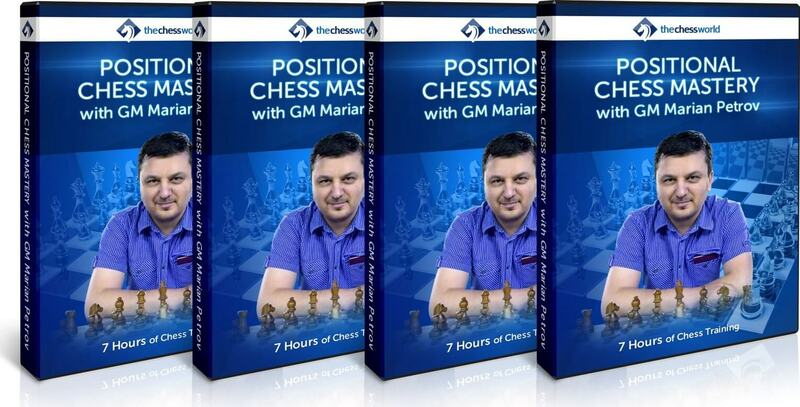 Learn from the ideas and strategies of players like Korchnoj, Smyslov and Karpov. After solving those problems you will get one step closer to positional mastery! GM Mikhalevski does a fantastic job explaining complicated concepts of positional sacrifice in a way that even an average player will understand and greatly benefit from. We have only selected the most important and relevant examples to make sure that you can learn and use the ideas presented in this course to win your own games! If you already have this course you can swap it for something else of a comparable value.